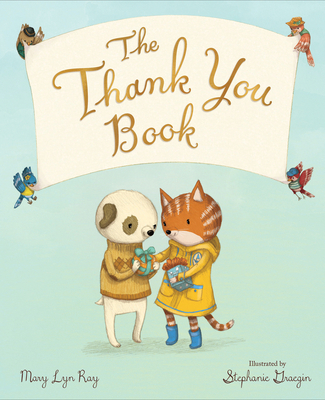 Perfect for fans of Margaret Wise Brown and Pat Zietlow Miller’s Be Kind, The Thank You Book explores the many ways of being thankful that can fill a child's day. Timely, wise, and accessible, the poetic text and tender illustrations celebrate the powerful impact gratitude can have on our lives. Thank you isn't just for learning manners. Mary Lyn Ray has written many acclaimed books for children, including Go to Sleep, Little Farm, illustrated by Christopher Silas Neal; New York Times best-seller Stars, illustrated by Marla Frazee and The Thank You Book, illustrated by Stephanie Graegin. She lives in South Danbury, New Hampshire. Stephanie Graegin spent her childhood drawing and collecting fauna in Fort Wayne, Indiana and Houston, Texas. She received her BFA in Fine Arts from the Maryland Institute College of Art in Baltimore, Maryland. She later attended Pratt Institute in Brooklyn, New York, obtaining a Master of Fine Arts in Printmaking. Stephanie's beautifully illustrated books include The Thank You Book by Mary Lyn Ray and You Were the First by Patricia MacLachlan. She now lives in Brooklyn, is still drawing, and has managed to keep her collection down to one orange cat.